Posted By:Unknown | At:6:14 AM Be the first to comment! I don't even have any words for this. My girl, Juanita Bynum, has definitely had a rough few years since her 'No More Sheets' sermon brought her to the spolight. 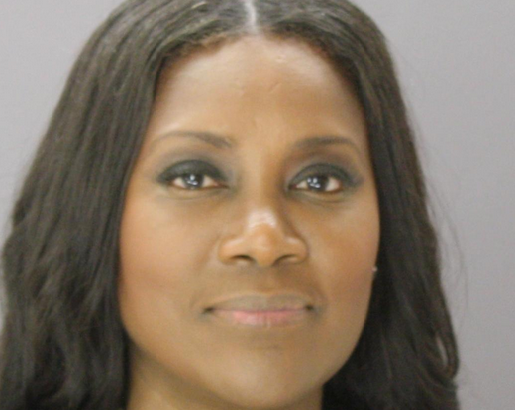 Gospel performer and televangelist Juanita Bynum spent the night in the Lew Sterrett Justice Center after authorities arrested her on a warrant for her failure to appear in a Dallas civil proceeding against her, according to public records. The Georgia woman was booked in at the jail about 10:30 p.m. Thursday. She was released after she appeared in a Dallas courtroom earlier today to answer questions in the case, which includes a 2007 judgment ordering her to pay $140,000 to ALW Entertainment. She has yet to pay the money to promoter Al Wash’s company, his attorney said, though they are hopeful that the case may finally be resolved. Wash sued Bynum for failing to perform in a play for which he had paid her. “She has disclosed the whereabouts of her assets and her business dealings,” entertainment attorney David Small said. Bynum has faced controversy in recent years. In 2008, her husband at the time, Thomas Weeks, pleaded guilty to assaulting her and was sentenced to probation, according to reports. The couple later divorced. I’ve left a message at a listed phone number for Bynum and we’ll update you if we hear back.